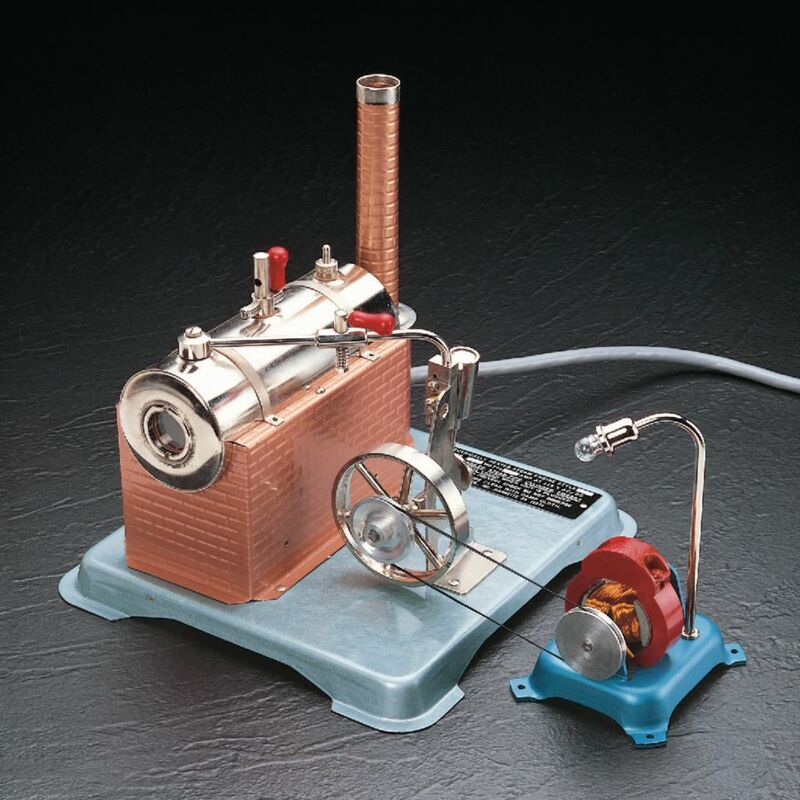 The High rpm Steam Engine features an electrically-heated horizontal boiler. The apparatus includes a water-gauge safety valve, whistle, throttle, two-speed pulley, and 400W heater. The engine may be used to drive our Electric Generator. Ordering information: The engine includes a three-wire cord and plug for operation on 110VAC.